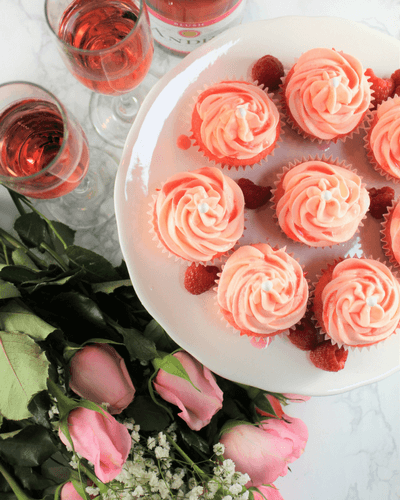 Champagne Cupcakes with pink rose champagne, a simple champagne frosting and a sweet raspberry champagne drizzle. 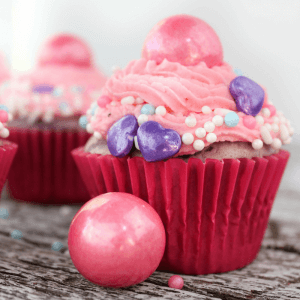 Perfect dessert for Valentine’s Day, party or a fun baby shower. 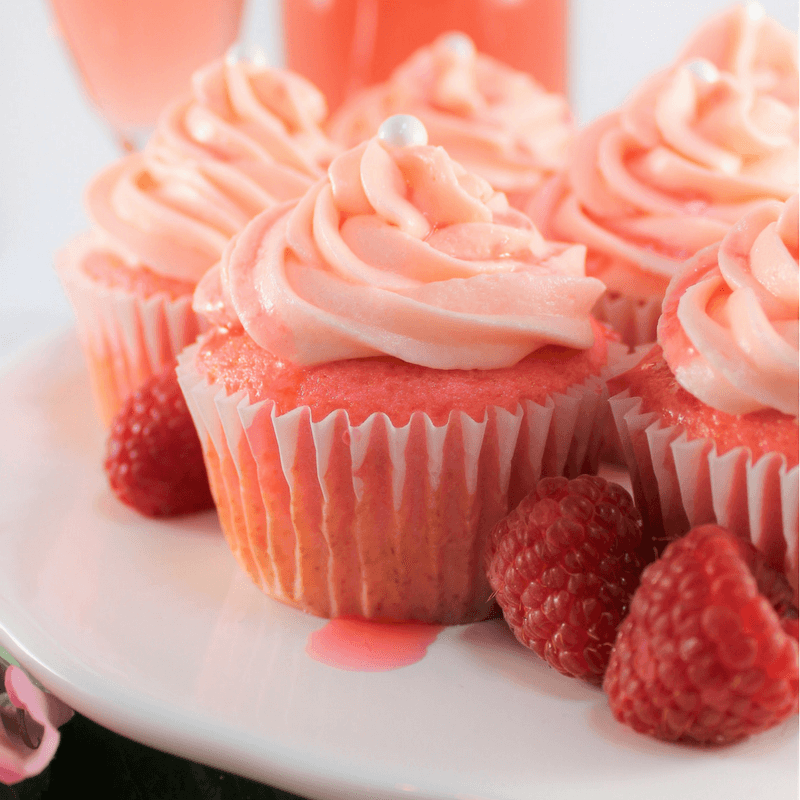 Champagne Cupcakes may look labor intensive but these are sooo incredibly easy to bake. We are just amping up a white cake box mix. 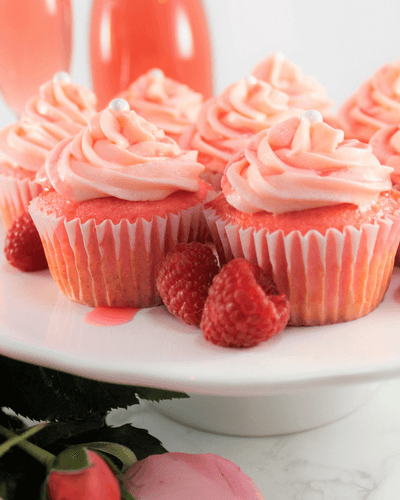 The frosting and raspberry champagne drizzle have limited ingredients and take only minutes to prepare. 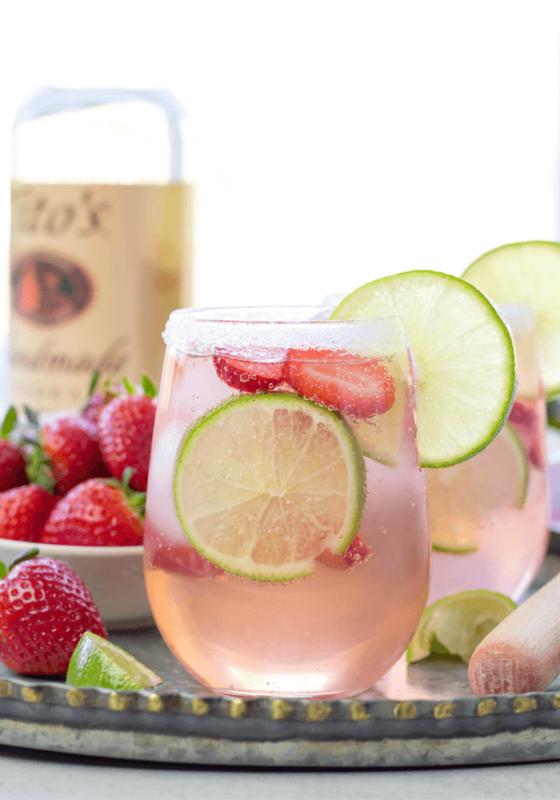 Use any rose champagne you would like. 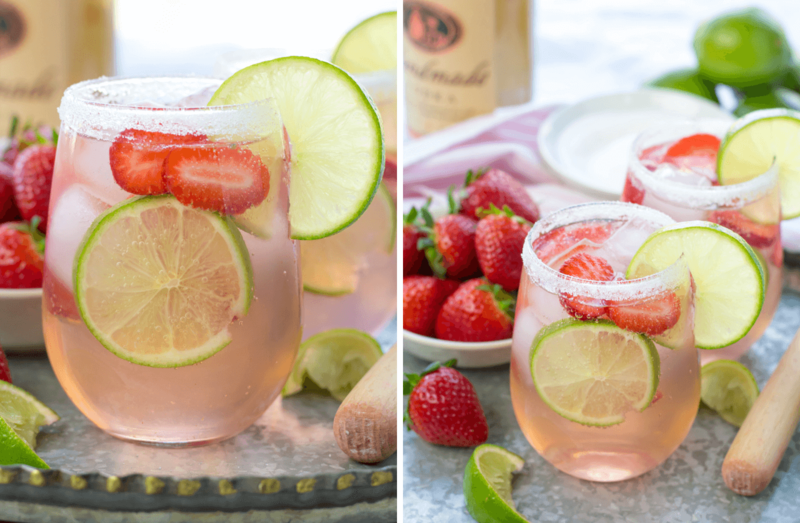 Pick an alcoholic or non alcoholic depending on your needs. I used an affordable champagne today. No need to spend a bunch of money. These cupcakes are simple, light and fluffy with just a bit of raspberry undertones. 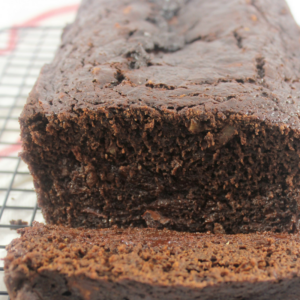 If you would like more of a champagne kick, try a bit of champagne extract in the cake and frosting. 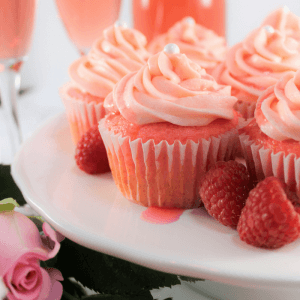 The best part of these Champagne Cupcakes, besides being outrageously simple? The decorating part. 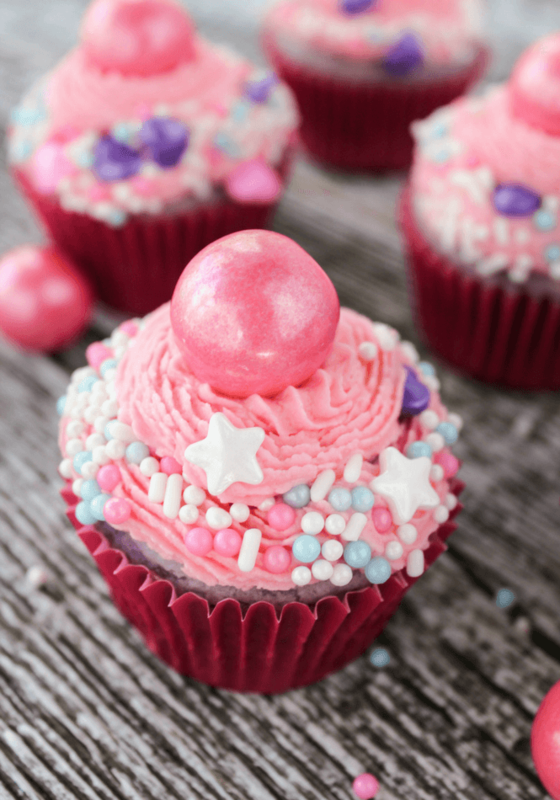 You can really turn any cupcake into something really special with some methodical décor planning. 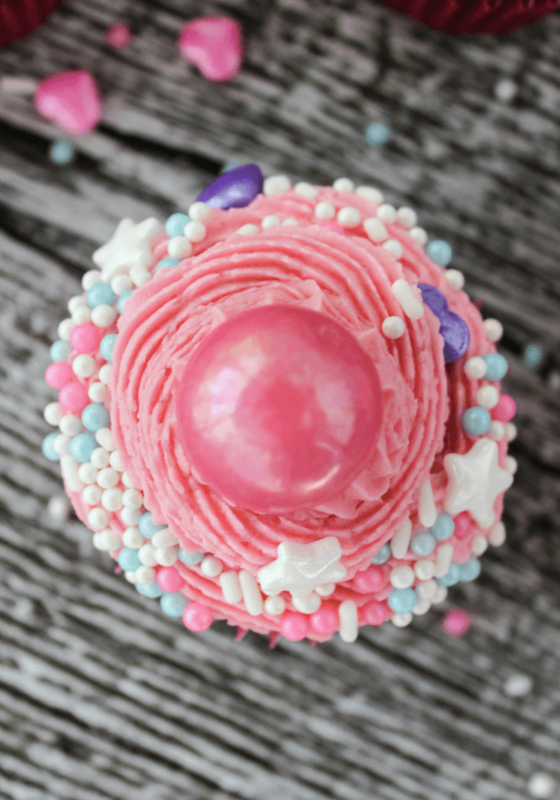 I prefer a large tip for frosting cupcakes because it makes the cupcake look a little fuller and really pretty. Today, I used Wiltons’s large 1M open star tip. The drizzle sauce adds a nice dimensional of flavor and a more gourmet feel. The simple candy pearl puts the final touch of sophistication. 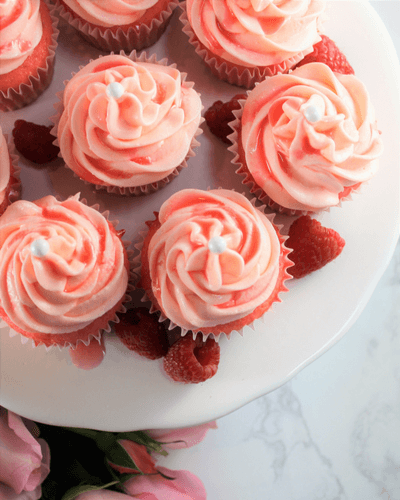 Gather ingredients, mixing bowls, measuring cups, and hand or stand mixer, strainer for the raspberries, pan, muffin pan, cupcakes liners, decorating bag, large cupcake tip, and cupcake decorations of choice. Wash raspberries and place on towel to dry. 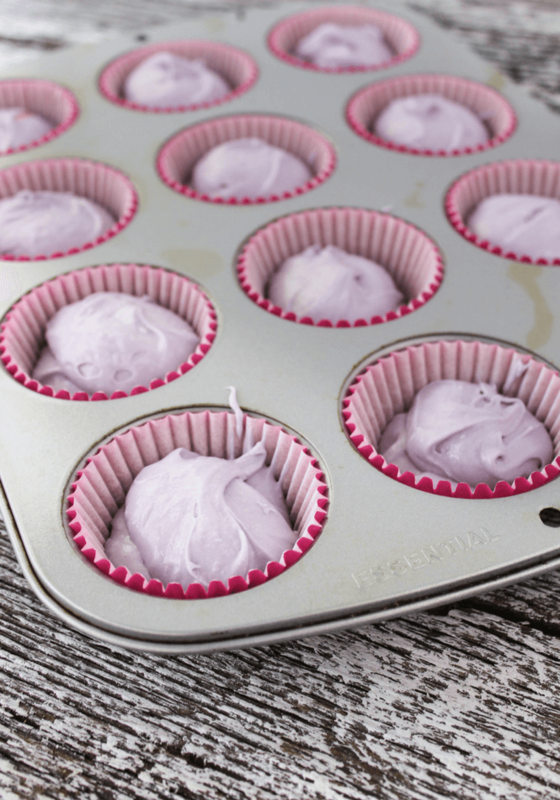 Place cupcake liners in muffin pan. 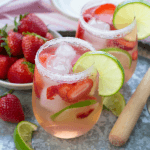 In a large mixing bowl, add 3 egg whites, 1 box of white cake mix, 1/3 cup unsalted butter at room temperature, and 1 1/4 cup rose pink champagne. Mix well. Add a dab of red food coloring and mix in using a spatula. 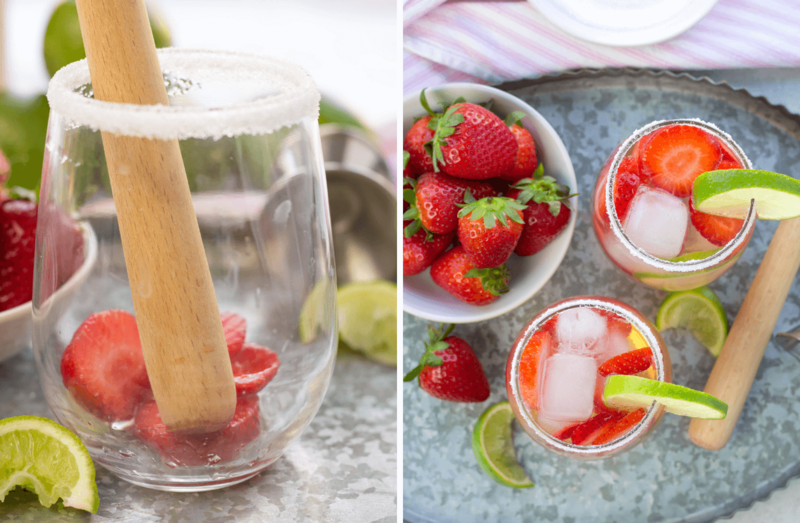 Start with just a little food coloring and add more if needed. A little goes a long ways. Fill cupcake liners 3/4 full of cupcake mixture. 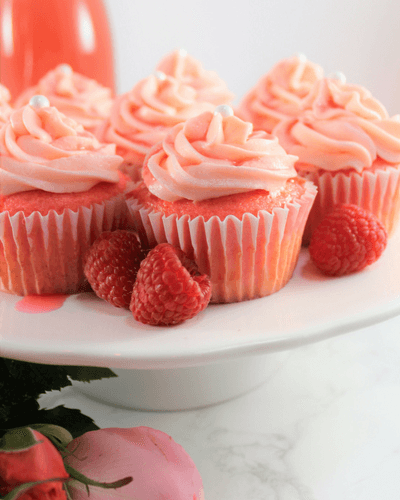 Start your raspberry champagne drizzle as the cupcakes cool. Place a pan on medium heat. Add 3/4 cup rose champagne, 1 cup raspberries, and 3/4 cup sugar. Let bubble for 10 minutes while whisking frequently. Strain raspberries into a bowl to remove the seeds. Let cool. In a large mixing bowl, add .5 cup vegetable shortening, .5 cup unsalted butter, and 4 cups powdered sugar. Use the hand mixer to thoroughly mix into a frosting. 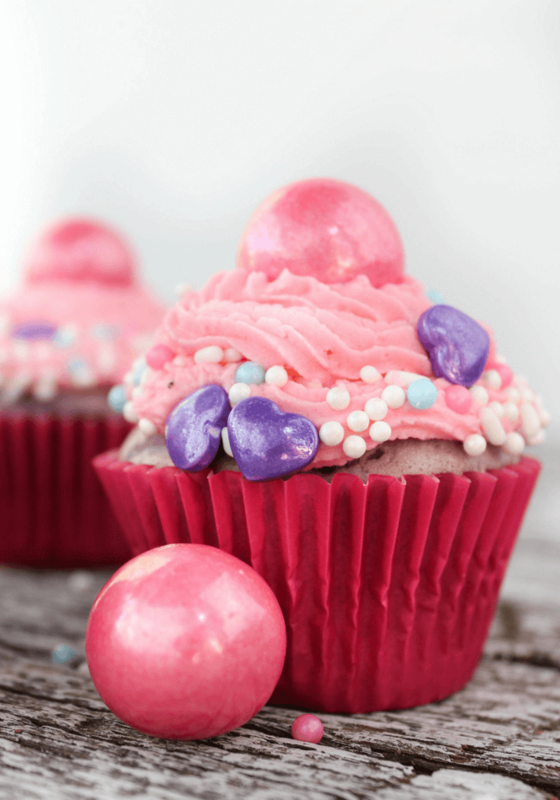 Add a dab of red food coloring to frosting. remember the coloring goes a long way. Stir in completely. Place frosting in decorating bag with tip of choice. I prefer the larger tips. Frost each cupcake. Drizzle each cupcake with a dab of raspberry champagne sauce. 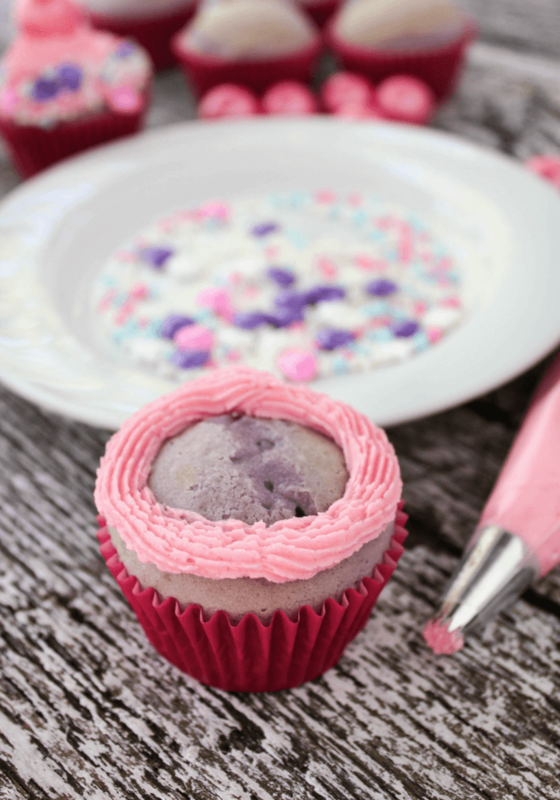 Just use a small spoon and pour a pinch on each cupcake. Decorate further as you wish. Today I placed a decorative candy pearl on each. 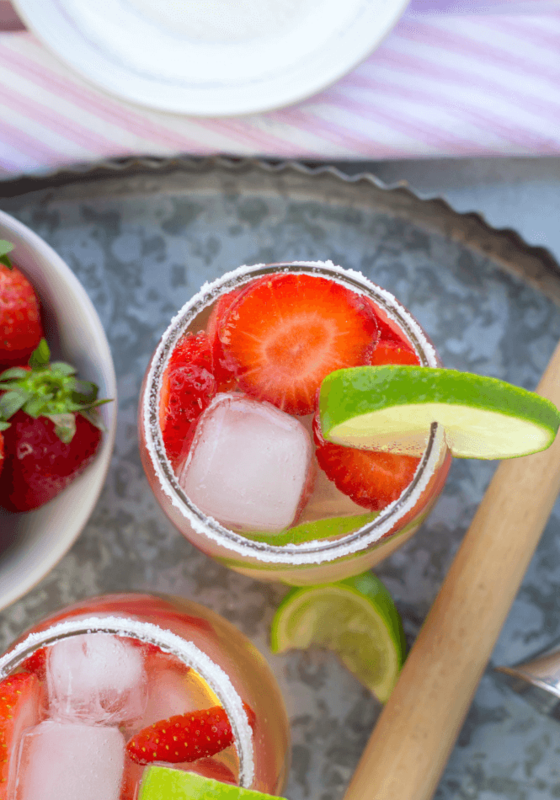 A fresh raspberry, cake sparkler or glittery sprinkles would also be great options.